With its over-the-top depiction of a hot-button topic like immigration, one of the bigger surprises after "Machete's" holiday weekend opening is that it didn't provoke more uproar among talking heads always looking for ammunition. How is it that Jennifer Aniston made more of a controversy in her movie about artificial insemination than the clear polarizing message in "Machete"? 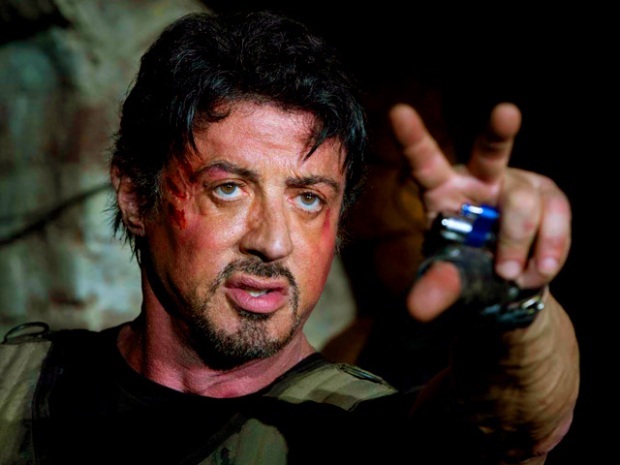 Chalk that up to the filmmakers who fought desperately to keep the politics out of the violent bloodbath on film. There were plenty of political statements on the screen, ranging from a pregnant Mexican immigrant being shot down crossing the border to nasty white anti-immigration politicians like Robert De Niro's character cynically using the issue for his own political gain. And even a climatic armed, bloody uprising over the issue. But director Robert Rodriguez set the it's-only-a-movie tone throughout the movie's most recent promotional efforts, which has helped keep the movie out of the political line of fire despite the great big bullseye on its side. "It's not about this side versus that side. It's about Machete battling corruption," Rodriguez tells PopcornBiz in what became a familar non-controversial refrain. "It's not so much about the immigration issue." 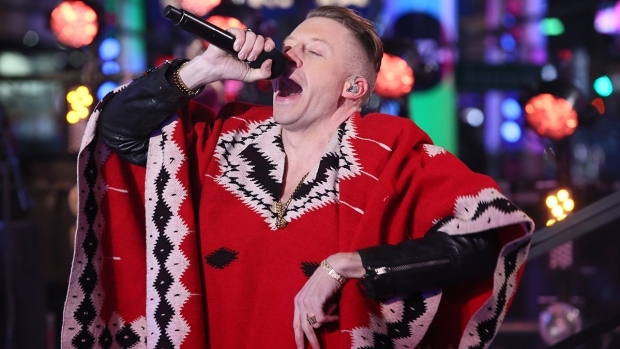 "It wasn't like brown versus white," he adds. "The biggest issue for me is the corruption which no one wants to talk about." Yet, for a movie "not" about the immigration issue, there sure are a lot of immigration subplots, ranging from a secret underground movement aimed at helping immigrants get across the border safely to De Niro's politician who claims at one point, "Make no mistake, we are at war." During the August press conference for the movie, Rodriguez showed considerable dexterity as he repeatedly tried to pretend this wouldn't be the type of movie which -- in the words of one questioner -- would make Fox News pundits "pop a blood vessel." While the Oliver Stones of the world would invite the controversy, Rodriguez simply side-stepped, pointing out the movie was so extreme that it was made "with a huge sense of fun." "It's supposed to make you feel, 'Wow, some of this is really not far from the mark,'" he said. "Even though I tried to make it as much made up as possible, you couldn't escape the idea that reality is stranger than fiction." This is a long way from the strong political statements being made on the screen and which were made when the movie was initially promoted. The Hollywood Reporter recalls that when Arizona's tough immigration law was enacted, Rodriguez released a recut trailer on Cinco De Mayo which had star Danny Trejo saying, "This is Machete with a special Cinco de Mayo message…to Arizona." This led to the shot of illegal immigrants rising up in armed rebellion (as they do in the movie's bloody climax). While the New York Post followed this up with headlines claiming "Violent movies declares war on Arizona for immigration law," it seemed like Rodriguez wasn't much up for a fight by the August press day. When asked point blank about the Arizona law, Rodriguez was positively diplomatic: "I think the people are trying to solve the problem," he said. "They are doing it any way they can. It shows that people really do want an answer." So by the movie's release last weekend, there was only a trickling of news items on the topic. The Drudge Report linked to a political website which proclaimed: "'Machete' producers lied about racist bloodbath" and intoned its view on the movie's message: "opposition to illegal immigration is tantamount to murder, white racism and vile Machiavellian scheming." But this was very much a message the filmmakers avoided. 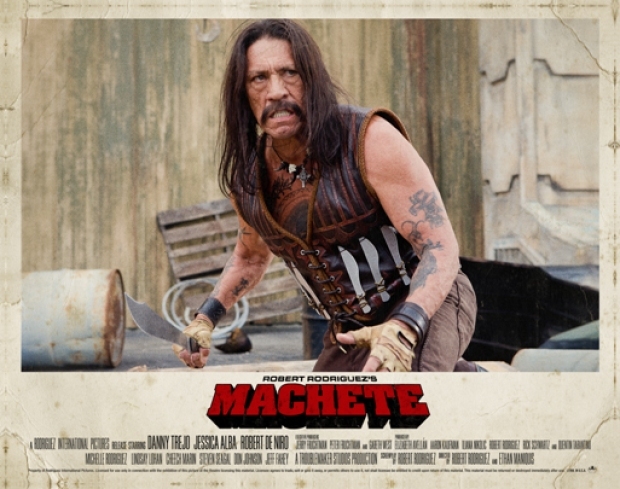 As Machete himself, star Danny Trejo said: "The movie is made to entertain. But any movie you do, somebody is going to be able to take something negative out of it because of the issues at hand." "We're going to make everyone happy equally," he added. "And we're going to offend everyone equally." 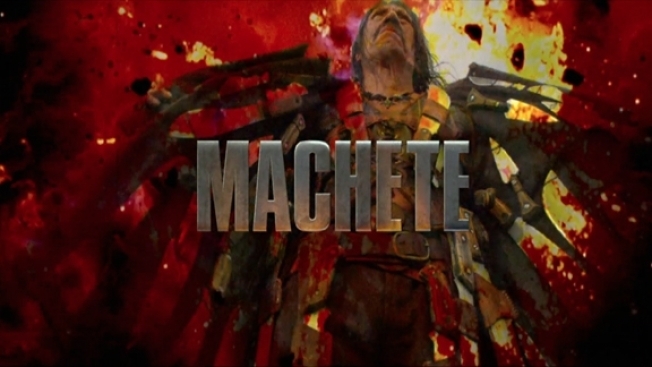 Machete, it appears, is not a man eager to take on every fight.